Alternative lender Kabbage offers fast access to working capital. Don’t have perfect personal credit: While underwriting your loan, Kabbage focuses on less traditional information like banking, accounting and e-commerce data. That makes it a good fit for business owners with rocky credit histories. Need cash fast: With an online application that can be completed in minutes, you can be approved for a line of credit and funded within a few days, at most. Prefer a short repayment period: Kabbage offers loans of up to $250,000 with repayment terms of six or 12 months. Kabbage is a good option for business owners who need cash immediately and don’t mind paying higher rates for the speed. The application process doesn’t require paperwork; instead, you simply connect a business checking account, bookkeeping software or payment platform such as PayPal. You also can give the company access to your other accounts, such as QuickBooks, Xero, Etsy, Amazon, eBay or Square. Customers can also request a Kabbage Card for no additional fee. Every time you make a purchase with the card, you’ll pull directly from your line of credit. While it’s fast and convenient, make sure you spend carefully — each transaction has associated fees (see Fee Structure, below). Kabbage is a good option for business owners who can’t get approved for a cheaper loan because of bad credit. To make an initial lending decision, determine your credit limit and set your fees, Kabbage primarily considers data from the accounts you link, your average monthly revenue and the number of years you’ve been in business. Kabbage’s annual percentage rates range from 24% to 99%, making its loans some of the most expensive on the market. Avoid using Kabbage to cover the costs of large equipment purchases or renovations; you’ll want to finance those with a long-term, lower-cost loan. Kabbage’s fee structure is complicated. Each month, you pay back a percentage of the amount borrowed — the principal — plus a fee. For a six-month term, you’ll pay a fee of 1% to 10% of the total amount you borrowed for the first two months, then 1% for the remaining months. The structure is similar for a 12-month term: You’ll pay 1% to 10% for the first six months of your loan, then 1% each month after. Because you pay the largest chunk of your fees to Kabbage within the first two or six months, you won’t benefit much from repaying your loan early, even though the lender doesn’t charge a prepayment penalty. Like Kabbage, online lender OnDeck offers fast access to financing and has an easy application process. 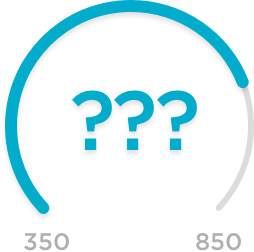 OnDeck offers a line of credit with lower APRs than Kabbage, but it has higher requirements for credit score and revenue. It also offers term loans, which are a good option for expansion. For more details on how they compare, read our Kabbage vs. OnDeck comparison review.